The family decided to drop by Luk Yu Restaurant and Teahouse at Chinatown for dinner one day. I quick check online seem to suggest this outlet is not affiliated to the popular restaurant in Hong Kong. Anyway, let the food be speaks for itself. We actually wanted to have dim sum but it is not available during dinner time. Hence we ordered some dishes from the ala carte menu to try instead. We started with some Wasabi Prawn. 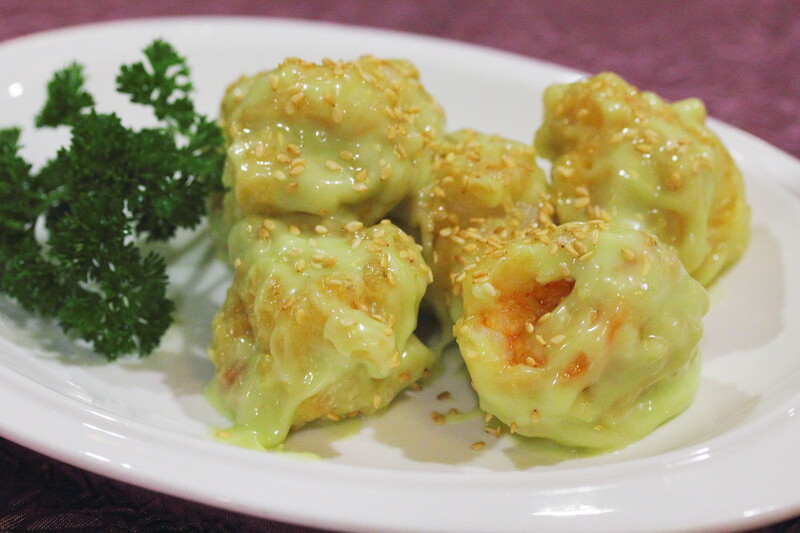 Pretty decent execution with crunchy prawn that was coated in a wasabi mayonnaise sauce. 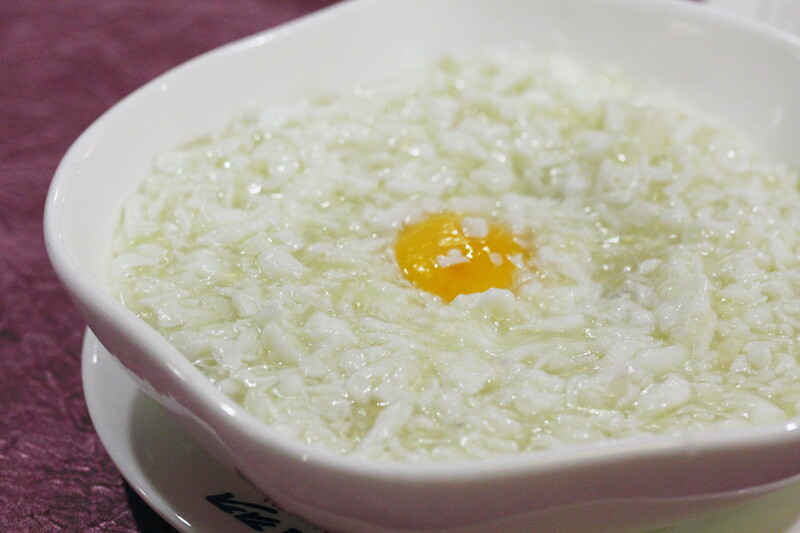 Next was the classic Chinese dish, Sai Pang Xie. All of us did not really enjoyed it. It came across rather bland and watery. I remembered adding quite a bit of vinegar to boost the taste. Following that we have the Roasted Meat Platter. 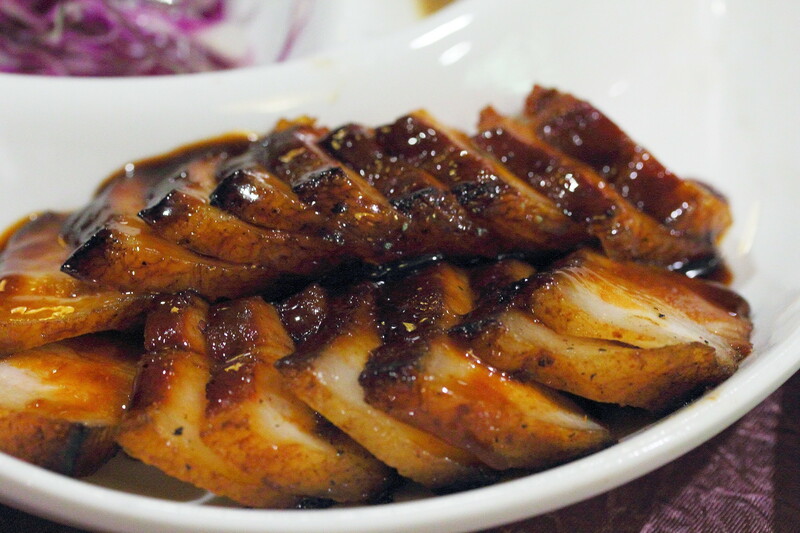 We chose the Roasted Duck, Char Siew and Roasted Pork. 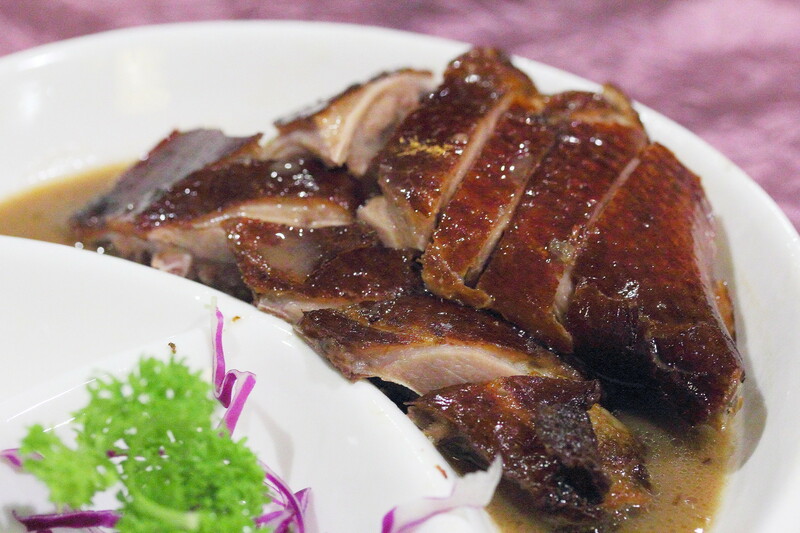 My favourite on the platter was the roasted duck. The other 2 roasts was rather mediocre. Lastly we have a vegetable dish. The Three Eggs Vegetable with Superior Broth is an usual greens that I commonly order. 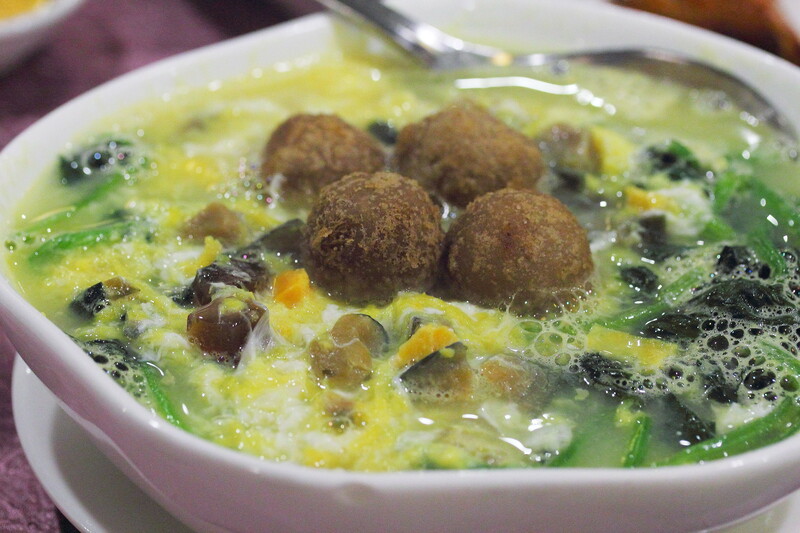 I like the combination of the century egg, salted egg and normal egg with the vegetables. 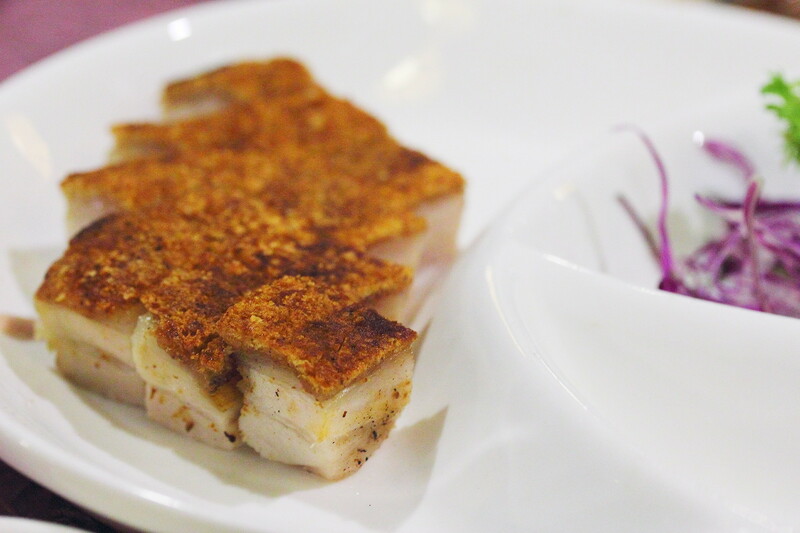 The version at Luk Yu is slightly different with the addition of yam balls. Actually the yam ball was quite a mis-match for the dish. I don't understand the concept behind it. Nevertheless the vegetable itself in the superior stock was ready good. 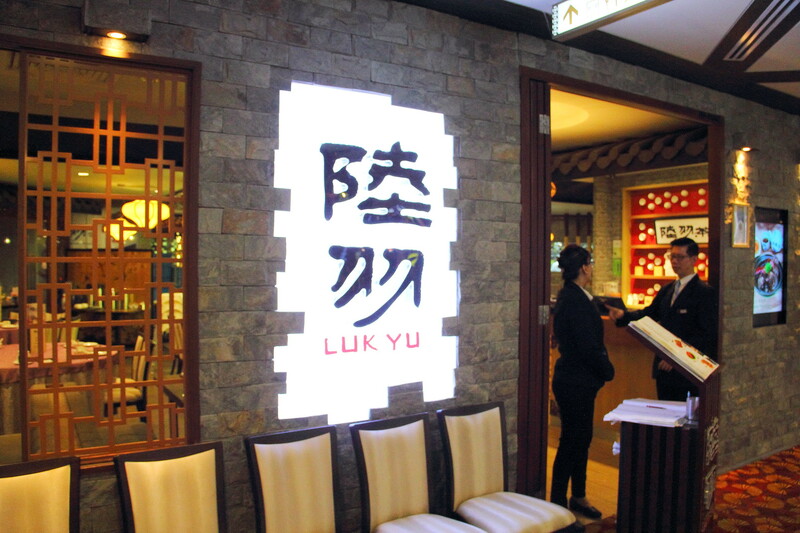 Overall, I find the food at Luk Yu is rather average. There was nothing memorable about it. As the restaurant also serves dim sum, maybe the dim sum will fare better.